Barnes & Noble’s future is in providing quality physical objects to in store customers. via Print as the future of Barnes & Noble. Nonetheless, at least seventy percent of the books sold in the U.S. are still print, so Amazon’s inability to get its titles into bookstores was a huge strike against the vision that it would be able to compete directly against general trade publishers on big fiction and nonfiction titles. And just because many have argued that the traditional book publishing industry’s business model is outdated didn’t mean that Amazon would be able to completely upend the way the industry does business in New York in two years. via Amazon Publishing reportedly retreating in NYC. Thank or blame Barnes & Noble — Tech News and Analysis. Physicality: being a place is an underestimated thing as is its almost completely ignored sister point Proximity: the idea that a bookshop is often a local place that is NEAR the reader or the customer. Where is Amazon? I wonder how many Irish people know that the company has a customer service centre in Cork and an engineering office in Dublin? Or indeed how helpful either fact is when you want something nearby? The other two points I figured went in bookshops favour are Knowledge and Sympathy, tools and advantages that Amazon itself possess to some extent, but which are greatly added to by the physicality and proximity of bookshops. Push its niche imprints more aggressively than ever because those imprints have massive advantages in specific verticals and can deliver real benefits to authors and readers. Work to convert more readers to digital or online book purchases (booksellers have made themselves Amazon’s true enemies now whereas in the past they were simply the hapless victims of Amazon’s usage of new distribution and sales systems). Find a new way to market for its printed books. This might be seen as a slight contradiction of 2, because it might require working with bookshops, but it would be a sensible strategy for Amazon to find SOME way to get books in front of people in large numbers. Several avenues suggest themselves; somehow convincing a chain or a group of indies to take them, selling the retail print rights to the best market offer (I’m sure bidders would emerge), doing a deal with retailers of other products with good footfall and a desirable audience (this might work), or simply hiring out empty retail space on short leases for book big launches (expensive but interesting potential, especially around peak season releases). It’s very clear that Amazon has taken a defeat of some kind, frustrated by its competitors and by circumstances. I don’t expect that will end the company’s drive into publishing, it has created a much too valuable commodity with its platform to retrench at this point, but it will clearly require a rethink and a retool before the company can move forward again against the big fish in New York. That would not make me happy if I was an executive in those same houses though, it would make me even more nervous. This reversal does nothing to counteract Amazon Publishing’s attractiveness to niche authors and the KDP Platforms dominance of digital self-publishing. 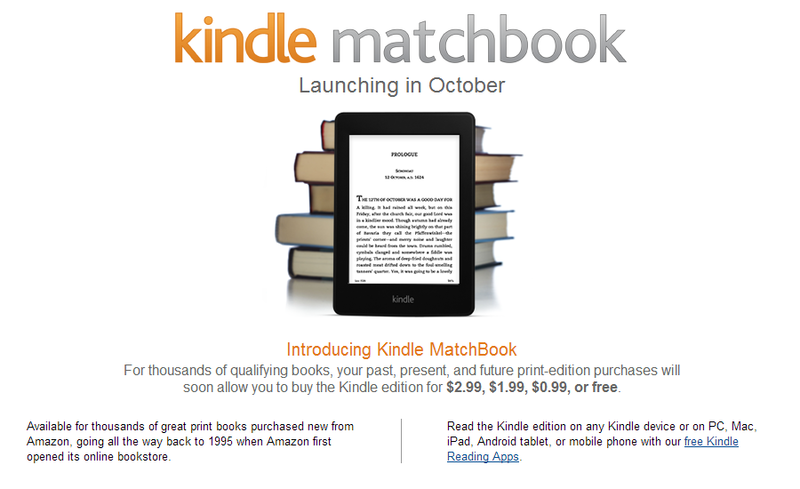 Publishers will need to think and act smart if they are to take advantage of this Amazon misstep. According to a study by Experian for The Telegraph newspaper, there are 1,878 bookshops left on the high street today, including independents and Waterstones stores, whereas in 2005 there were 4,000. Separate research by analysts at Mintel suggests UK consumers spent £261 million on e-books in 2012, nearly twice the £138 million spent in 2011, while physical book sales fell from £3.3 billion last year to £3.1 billion this year. via Bookshop numbers halved in seven years, says research | The Bookseller.